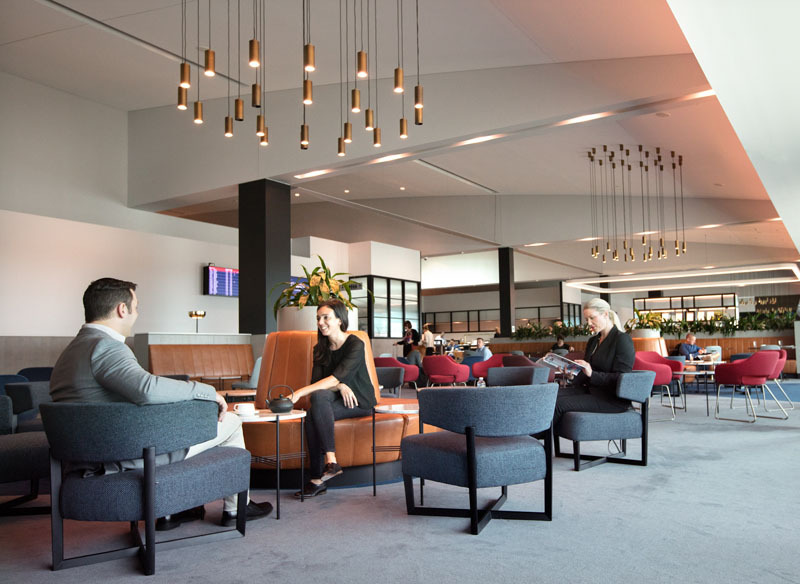 Qantas has completed a major upgrade of its domestic lounges at Melbourne Airport, providing customers with more seats and updated designs inspired by Melbourne’s landscape. 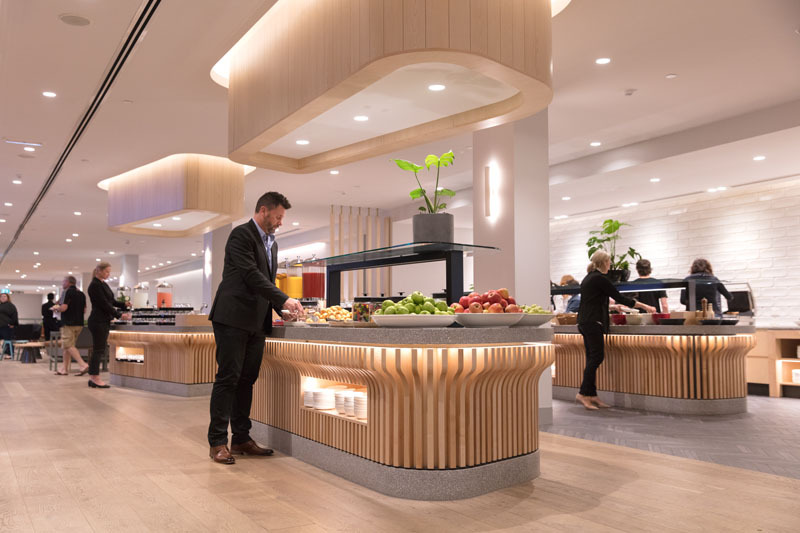 The new Domestic Business Lounge and Qantas Club have been completely redesigned to use space more effectively, offering seats for nearly 900 customers. 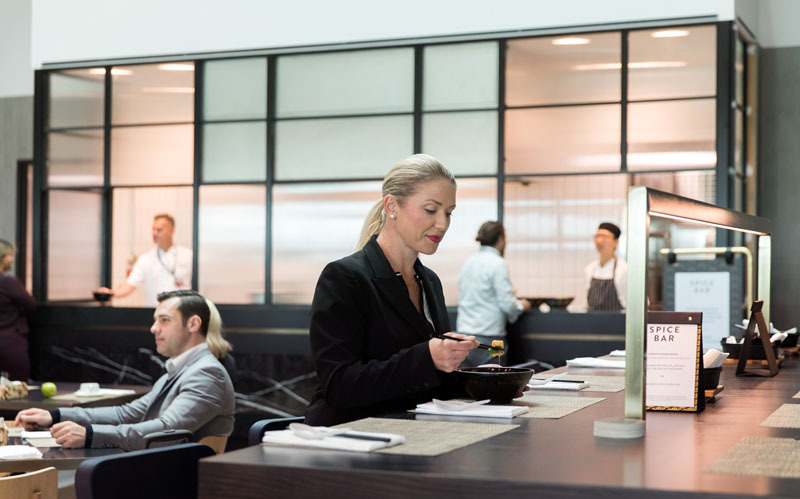 More than 130 additional customers can now be accommodated – 40 percent more in the Business Lounge and 10 percent more in the Qantas Club. 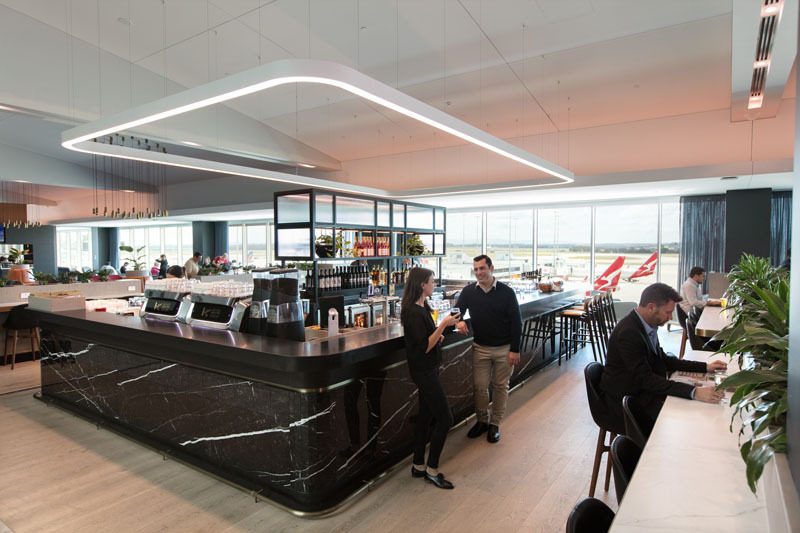 Following a 12-month redevelopment, Qantas Group CEO Alan Joyce officially opened the new domestic lounges at Melbourne Airport today. Mr Joyce said the multi-million dollar investment was a vote of confidence in Melbourne’s future. 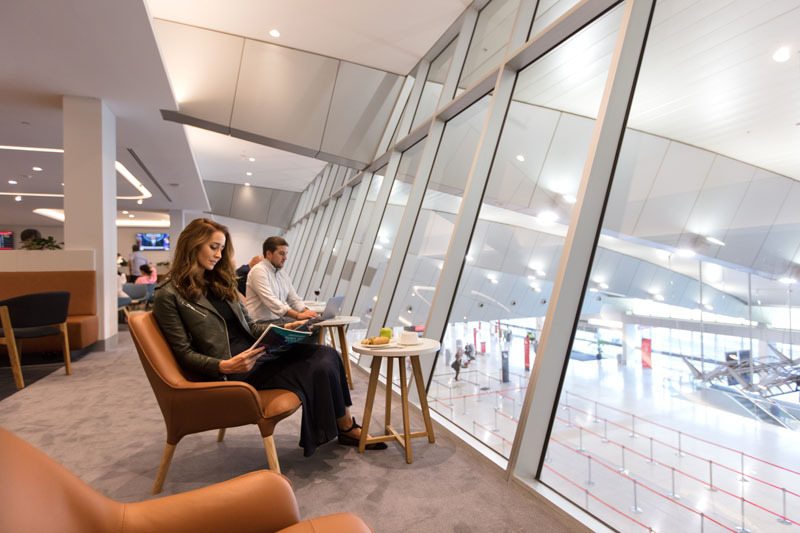 “Melbourne is one of the busiest ports in our network, and with the demand for premium travel on the rise, it’s the right time to be investing in bigger and better lounges,” Mr Joyce said. 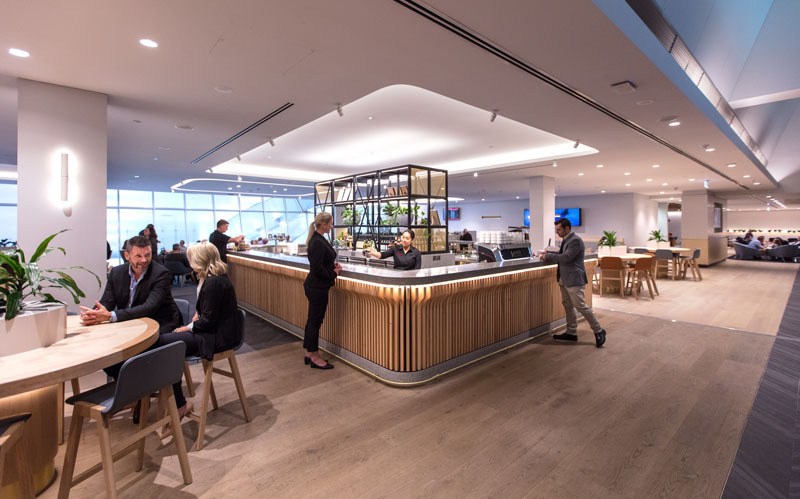 Designed by Woods Bagot, the natural timber and colour palette of turquoise and grey in the Qantas Club is inspired by the Great Ocean Road. As you can see in the photo above, the Qantas Club has lost its former views of the tarmac and now looks into the terminal. The Business Lounge has been designed with dark tones and sophisticated finishes to symbolise Melbourne’s dining culture and supper clubs. I must admit, when I visited the near-finished lounge a few weeks ago, it was a little too dark and basic for my liking, and some of the seats were a bit uncomfortable. 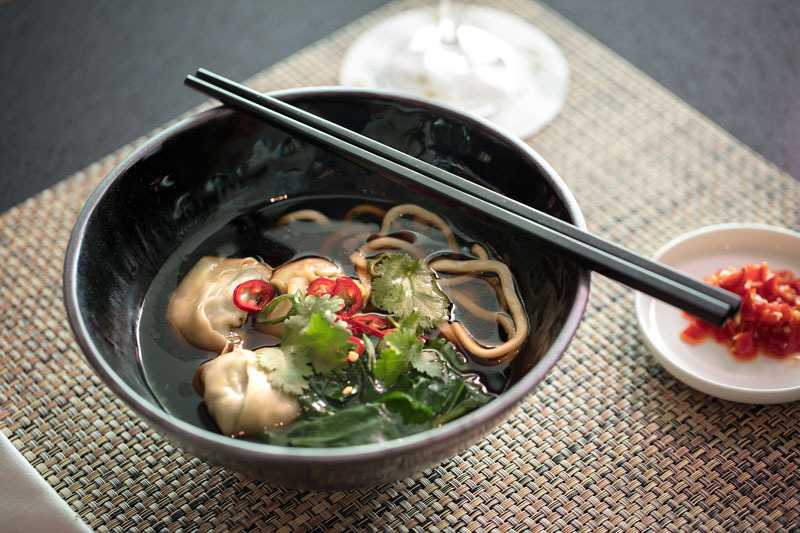 Following the popularity of feature dining offerings in Perth (pizzas) and Brisbane (Mexican cantina), the Melbourne Domestic Business Lounge offers a spice bar serving freshly made Asian dishes including noodle soups, char siu pork and Sichuan eggplant. 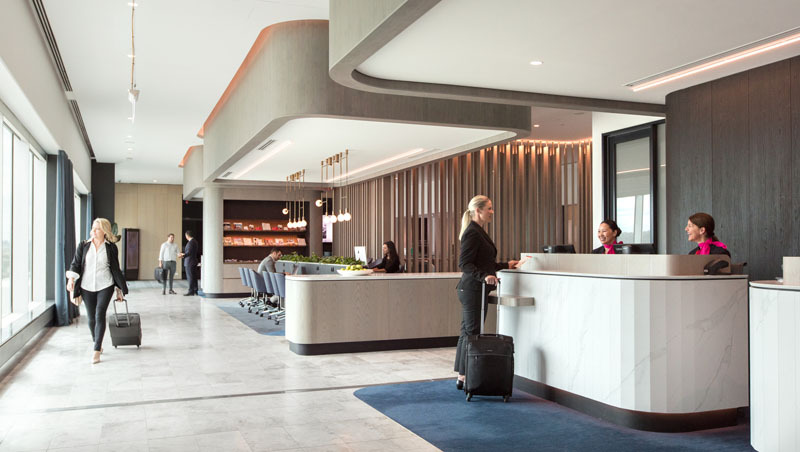 Both lounges offer all-day barista coffee, a bar serving Australian wine and beer, seasonal dining, business facilities including Wi-Fi and printing and an increased number of device-charging access points. The Melbourne Qantas Club is open to Qantas Club members, Gold Qantas Frequent Flyers and above, and those with equivalent oneworld tier benefits, while the Business Lounge is open to customers travelling in the Business cabin, Platinum Frequent Flyers and above, and equivalent oneworld members.